Remember when the first manned spacecraft transported astronauts to Mars and then back to Earth in the 1970s - a 13-month round trip? 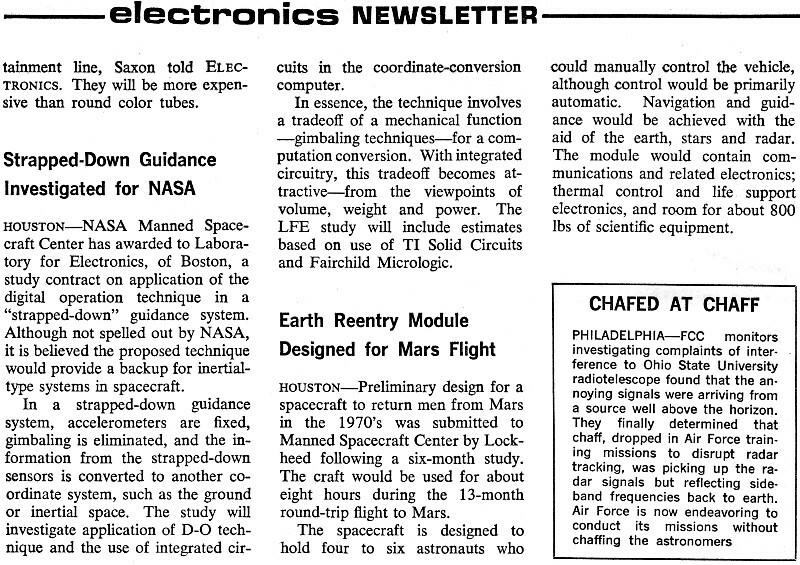 In the mid-1960s, Electronics magazine reported on the preparations being made by NASA for Mars travel at the same time they were busy preparing the Apollo mission to the moon. The world's first manned orbit (Apollo 8) of the moon didn't happen until in December 1968, a mere seven months before the historic July 1969 Apollo 11 moon landing*, but NASA was wasting no time planning for the next big thing. Of course you know to date we never have made it to Mars with a manned spacecraft, but the headlines are still filled with "any day now" projections by SpaceX's Elon Musk (whom I like) and his contemporaries. Sure, I would love to be alive to witness a manned mission to Mars, but I'd settle for another manned mission to the moon for establishing a lunar way station for future trips to Mars. Moon base objectionists say its lack of atmosphere to burn up meteorites is an insurmountable hazard - just look at all the craters there! However, the International Space Station (ISS), Apollo-Soyuz, Skylab, Mir, and Salyut existed for decades (not at the same time) without a protective atmosphere and without a major incident. Atmospheric winds have erased nearly all evidence of the meteorites that have reached the Earth's and Mars' surface; many have impacted over the millennia. * Yesterday's RF Cafe page header featured Neil Armstrong's birthday, see also Apollo 8 and Apollo 11 page headers. 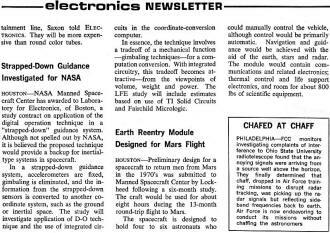 Houston - Preliminary design for a spacecraft to return men from Mars in the 1970's was submitted to Manned Spacecraft Center by Lockheed following a six-month study. The craft would be used for about eight hours during the 13-month round-trip flight to Mars. The spacecraft is designed to hold four to six astronauts who could manually control the vehicle, although control would be primarily automatic. 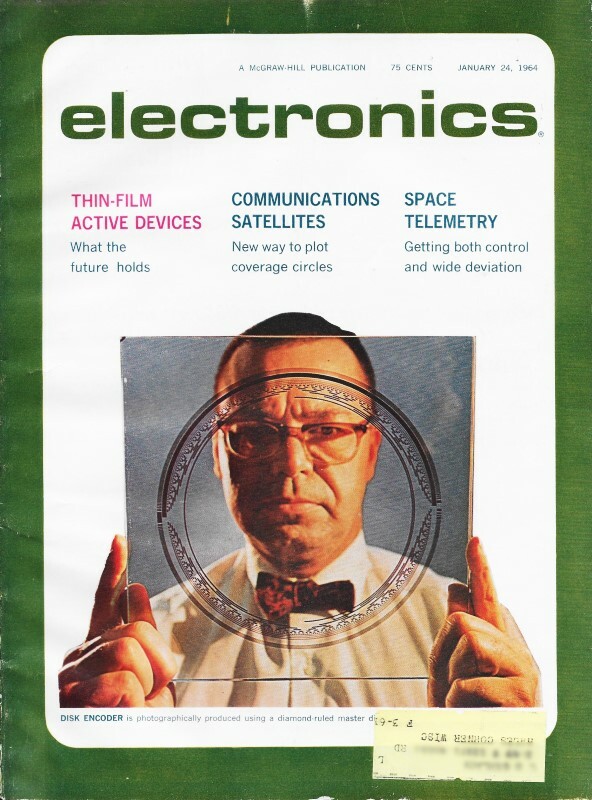 Navigation and guidance would be achieved with the aid of the earth, stars and radar. The module would contain communications and related electronics; thermal control and life support electronics, and room for about 800 lbs of scientific equipment.